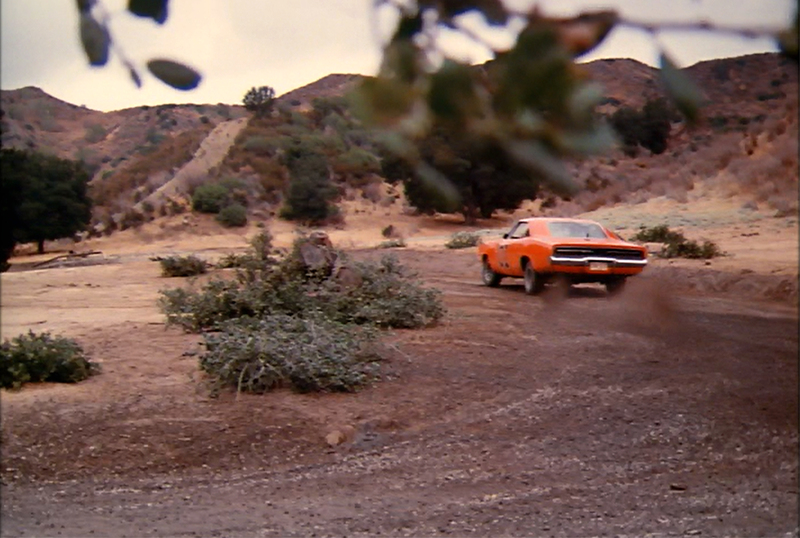 Screenshot: The General Lee tears through "Cottonwood Corners" in Season 5, Episode 7 of the CBS television series, "The Dukes of Hazzard." Episode title: "Vance's Lady," original air date November 5, 1982. Location is on the Warner Bros. Ranch in Lyon Canyon — between today's Ed Davis Park/Rivendale Park at Towsley Canyon on the south, and the 1988 Sunset Pointe subdivision on the north. 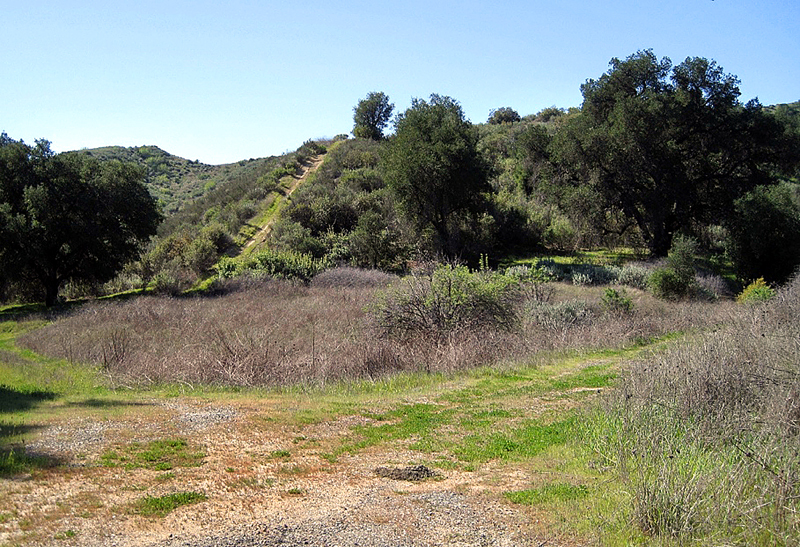 On Sept. 23, 2014, the Santa Clarita City Council voted to purchase this area (114 acres of the former Warner Bros. Ranch) for preservation as permanent open space. So-called "Cottonwood Corners" in 2014. Photo by Stan Walker. Click to enlarge. LW2687: 19200 dpi jpeg from screenshot.